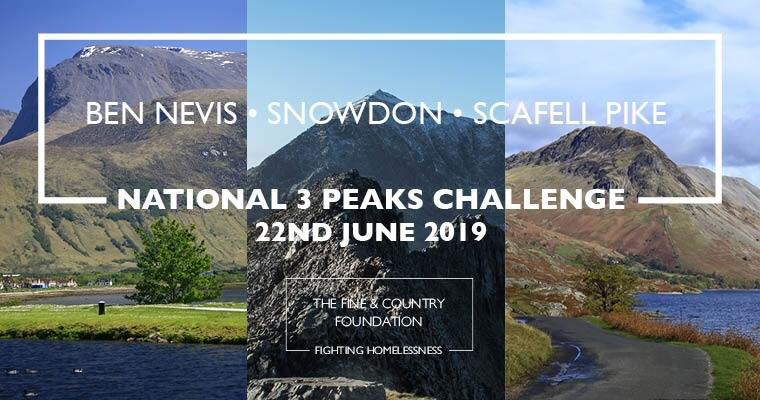 Could you do a 24-hour walking challenge across the highest mountains in England, Scotland and Wales: Scafell Pike, Ben Nevis and Snowdon, respectively, on Saturday 22nd June 2019? The National Three Peaks Challenge is a fantastic opportunity to test your limits, team-working skills and fitness. The total walking distance is 23 miles (37 km), but this comes with 3,064 metres (10,052 ft) of ascent. This, combined with 462 miles of driving will make this one of the toughest UK challenges for The Fine & Country Foundation yet. Saturday 22nd June follows the longest day of the year in 2019. This allows you to maximise the daylight hours to help with morale and navigation. Team members are invited to nominate a homeless charity for the event. Your charity can be in the UK or based overseas. Our only criteria is that it must support homelessness. For more information on our grant programme and how homeless charities can apply, please click here. Whether you are a seasoned rambler or have never climbed a mountain, we will support you from the moment you register until you arrive home, safe and sound. We will send information on recommended kit, first aid supplies and navigation techniques. We are looking for drivers to help us with our challenge. Drivers are invited to walk one mountain of their choice. If you are driving, you will have no more than three walkers in your vehicle. You are not expected to pay for petrol, this will be divided between your car’s passengers. Scroll down for more details on how to register. 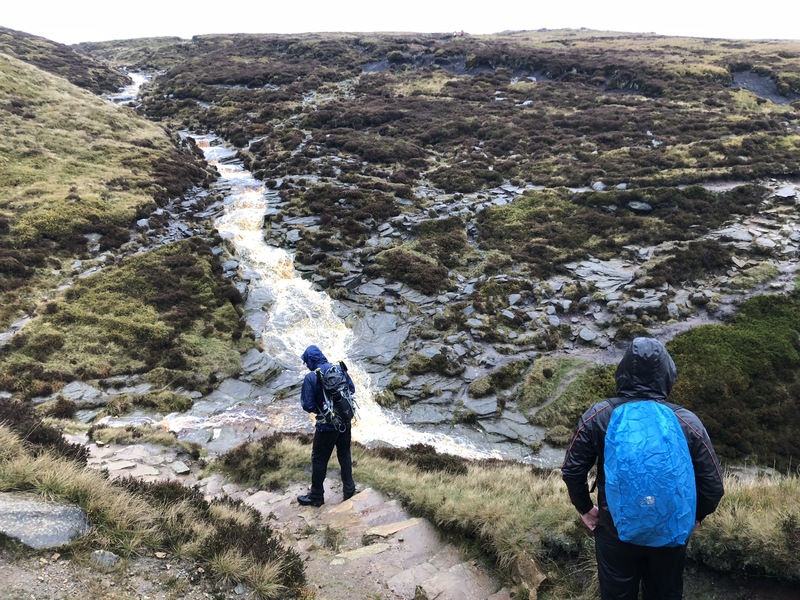 In October 2018, Fine & Country Derbyshire walked for 12 hours across the Peak District in heavy rain and strong winds as a precursor for the National Three Peaks Challenge. Fine & Country Derby in the Peak District in October 2018: newly former rivers from heavy rainfall. Some team members will be training for Mount Kilimanjaro, which we have organised for 7th-16th October 2019. There are still spaces available for our 2019 international adventure. For more information, please visit here.